Home Redistricting Let Freedom Ring! Today we celebrate the privilege of being a citizen of the United States and the Constitution that serves to safeguard our liberties. A central part of these celebrations should be a moment to pause and reflect on a core component of this freedom and privilege – representation. As has been said previously, the founders of the United States and – more specifically – this Commonwealth of Pennsylvania laid down their lives, fortunes, and honor to secure representation. But what is the state of this representation today? It is a pivotal year in the course of freedom as states all across the nation have worked to redraw the district boundaries that determine the strength and significance of your voice. In Pennsylvania, we have seen efforts to effectively alter the plain language governing the district-drawing – that no political subdivisions be divided unless absolutely necessary. These requirements, so plainly outlined in our constitution, are under attack and in danger of being rendered meaningless – including imperatives like contiguity and respect for political subdivisions. 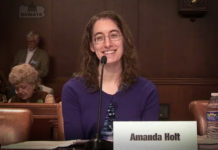 Such a marginalization of our constitution would be a serious blow to the voice of Pennsylvanians in matters of taxation, public safety, transportation, education, etc. Take for instance the latest maps drawn by the Legislative Reapportionment Commission (LRC). They admit that they divided our counties, cities, townships, boroughs, and wards even when the split was unnecessary to draw compact and contiguous districts of equal population (the criteria found within our constitution). We find that these maps reduce the power of our voice with numerous avoidable splits. Take a look at the charts below. 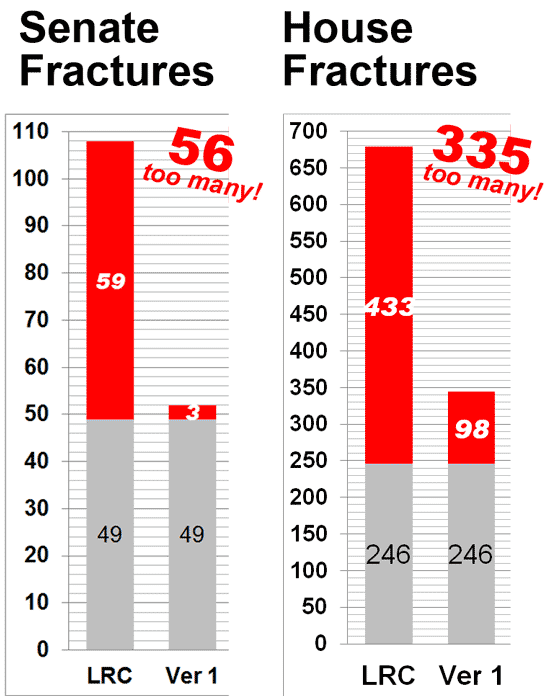 These needless splits and fractures do not have a minimal impact. In the Senate, the excessive county divisions affect 6.6 million Pennsylvanians. With our population just of 12.3 million, that is over half of the people who find their voice diluted to some degree by excessive splits in the Senate. The House is no different. Excessive county divisions once again dilute the voice of 6.4 million Pennsylvanians. The same is true of excessive municipal and ward fractures, which needlessly dilute the voice of 3.2 million people! That is over one-fourth of the population in Pennsylvania. This is just one reason why our constitution is so significant and essential to us today. Without the impartial directives found in our constitution, our voice would be left to the whims and caprices of politicians seeking to retain and expand their party’s interest. This “divide and conquer” approach only serves to violate the constitutionally protected voice of Pennsylvania residents and the laws designed to ensure we have an equal and unified say in our state government. This why our constitution must come first. In our celebration today of freedom and its privileges, let us not forget that liberty can be somewhat like a delicate flower. It will flourish under the proper care and conditions but wither away and die under the scorching sun of unchecked power. Essential to its preservation is an adherence to our constitution and law at all levels.